ag-IP-news Agency is the only specialized global Intellectual Property news agency that has been established to cover exclusively Intellectual Property news, events and activities. 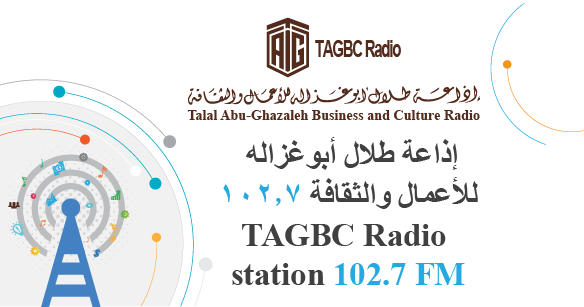 As a member of Talal Abu-Ghazaleh Global (TAG.Global), ag-IP-news Agency leads the way in the field of IP monitoring and reporting in the context of the fast-growing interest in IP issues, to fulfill our paramount mission: provide our users worldwide with a credible source of relevant news and reports. In addition, the users of ag-IP-news Agency are invited to avail themselves of our news, articles and information without any bother of fees or subscription procedures since the service is free. To maintain professional standards and credibility in covering Intellectual Property issues, an experienced and highly-qualified team of journalists is powering the News Agency. Together with professional journalistic skills and vast knowledge in Intellectual Property issues, the team guarantees instantaneous coverage of IP events through their extensive networks and connections with the global IP community. ag-IP-news Agency aims at realizing an “easier said than done” job: providing neutral and objective coverage of Intellectual Property news. The information provided on our website, including reports, features and events, is available 24/7 for all users through our fast and user-friendly search engine, developed by ag-IP-news Agency’s technical team to accelerate access to information. Our awareness of the growing interest in Intellectual Property issues drives us in providing a high-quality service, global perspective and in-depth coverage of IP news and events.